100% natural palm oil free soap handmade from the finest natural raw ingredients. 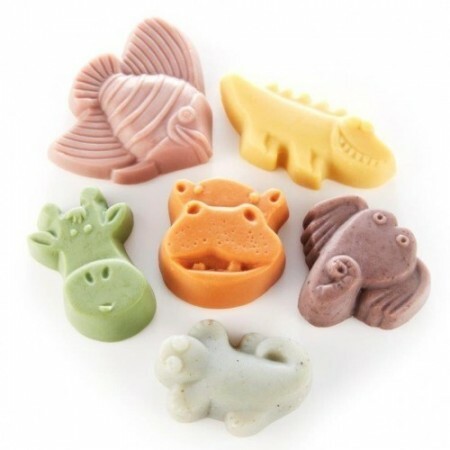 Soaps are different shapes, sizes and colours with animal design. One soap included. Please note varieties are picked at random. Approx 50g each. Chemical free body product, healthy for your body and the planet. Free from parabens, synthetics and chemicals. Nourishing blend of butters and oils to clean and moisturise young skin. Various animal shapes with different colours, shapes and sizes. Styles are chosen at random. Please contact us if you have a specific choice of animal. Soaps contain a base of olive oil, coconut oil, shea butter, and various clays. Individual soaps have different scents, naturally scented with a blend of pure essential oils. Approx. 45-55g per soap. Note: These soaps also contain small quantities of almond oil and macadamia oil. Various sizes approx. 10cm (H) x 4cm (W). Unpackaged. View our range of palm oil free soaps. 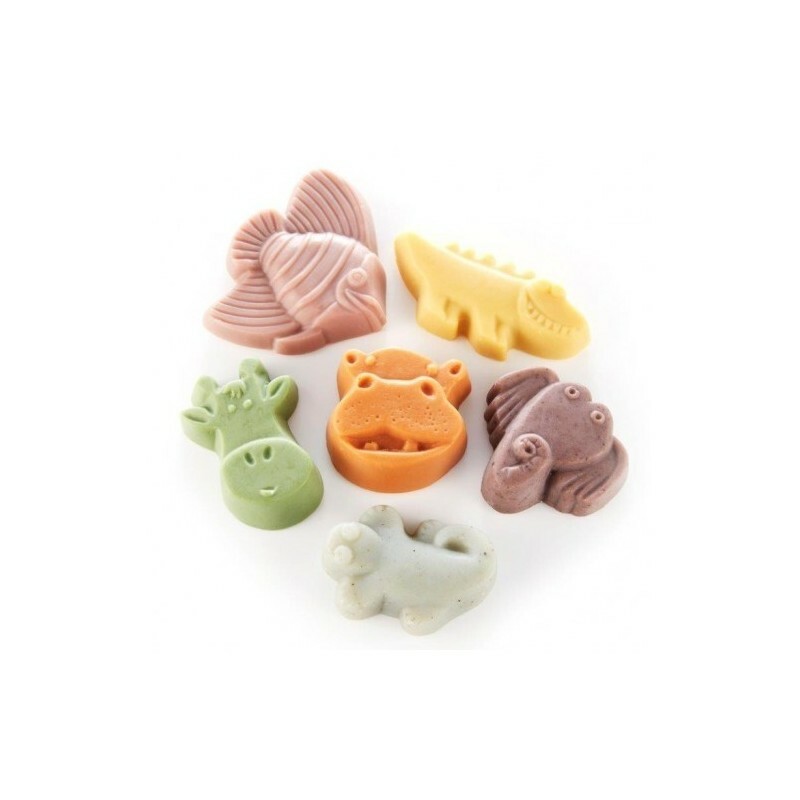 My daughter absolutely loved her little soap, she received a dark mauve coloured monkey soap, the smell was amazing! Cute little gift, and encourages kids to wash their hands!